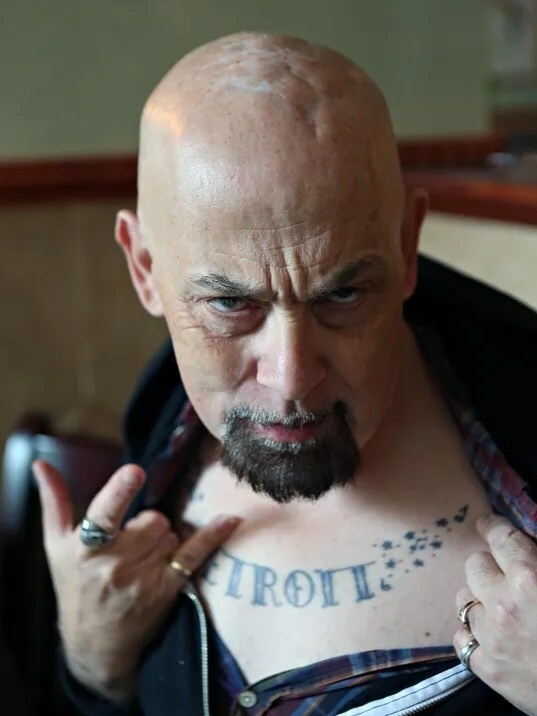 Hamell on Trial is guilty — of speaking his mind | Will You Miss Me When I'm Gone? I had the great pleasure a few weeks ago of spending an hour or two at lunch with Ed Hamell, a unique singer-songwriter I’ve admired for many years. He’s a doting dad by day who’s been living quietly in Ossining while unleashing his raw, punk-influenced songs on the road. He’s on the road at the moment, and should be in Las Vegas getting ready for a live album recording session at Southwestern Recording Studios on Thursday. He’s waxing all new material that he feels really good about. His next show near home is scheduled for Aug. 7, when he appears on a bill with Christine Ohlman & Rebel Montez at Daryl’s House Club in Pawling, New York. Doors open at 5 p.m., with the show at 9. Tickets are $15.$25 and available by tapping or clicking here. Offstage, he’s Detroit’s dad, a regular guy — albeit an unusually outgoing one. Onstage, as Hammell on Trial, he’s a sweaty, Red Bull-fueled ball of energy, singing his highly opinionated lyrics loudly while bashing away furiously on an amplified pre-war Gibson acoustic guitar. He even does what he calls a “face solo,” shaking his head wildly from side-to-side, relaxing his facial muscles to achieve a thoroughly comical, rubbery effect. Read the full interview on lohud.com. TAP OR CLICK HERE NOW. This entry was posted in Folk, Interview, lohud.com, Music, Pop and Rock and tagged Daryl's House Club, Ed Hamell, Hamell on Trial, Ossining. Bookmark the permalink. Pingback: The Washington Squares reunite after 22 years to perform at Sidewalk Café benefit for Antifolk icon Lach (Videos) | Will You Miss Me When I'm Gone?